One of the largest lots in the neighborhood located on a quiet cul-de-sac and just a stones throw from beautiful parks, and rear views of a serene cattle field. This is a family home with loads of extras. This 4 bedroom/2.5 bath gem will move fast. Perfect location - Walden Lake Elementary school district! Close to everything in Plant City with easy access to I-4 and Jim Redman Pkwy, yet set quietly away from the busy roads. Just a short walk to Brewer Park and Snowden Park. 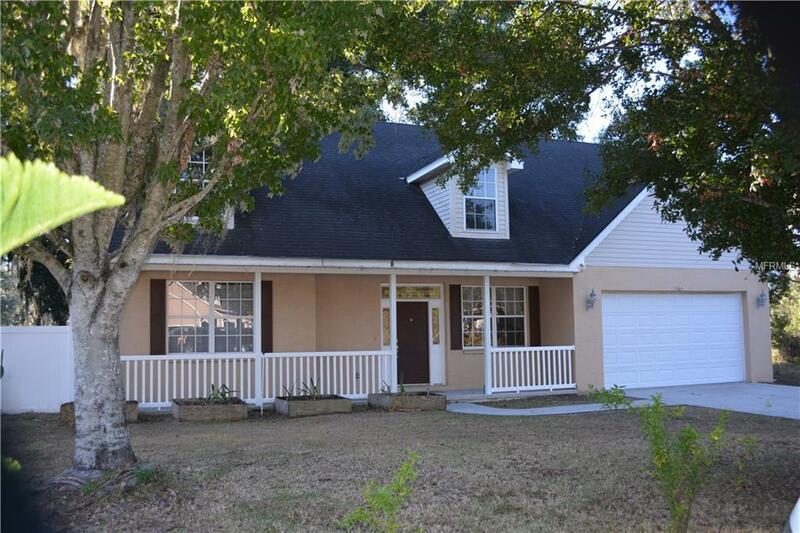 Charming front porch opens into a large open dining and/or front sitting area with quality engineered wood flooring and laminate flooring that extends to the family room and all bedrooms. French doors with encased mini-blinds, whole house water softener and chlorine filter, 80-gallon hybrid electric heat pump water heater, AC ducting upgraded ... just some of the upgrades in this beauty. The master bedroom offers walk-in closet, dual sinks, shower and separate garden tub to relax in. The split floor plan is perfect for family privacy. The back and side yards are an oasis of open space and the best that nature has to offer with climbing trees and views that will inspire! One tree in particular (The Castle Tree) is a great place to sit and listen to all of the amazing artists that perform at the annual Plant City Strawberry Festival ... one of the best free seats in Plant City! Don't wait, this home won't last long. Listing provided courtesy of Joseph Bethoney Realty.